Next was to pull many of the pieces together from previous steps. Plot points that were originally designed to aid the players were added to the Campaign Events, along with notes where needed. 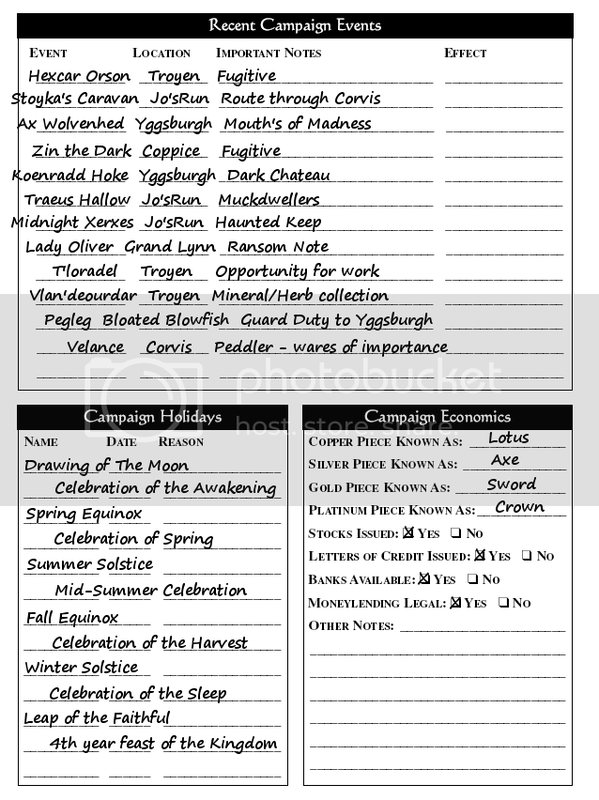 The major Holidays were added including notes for clarity, and the coin names were dropped in, while I finished out the banking section. 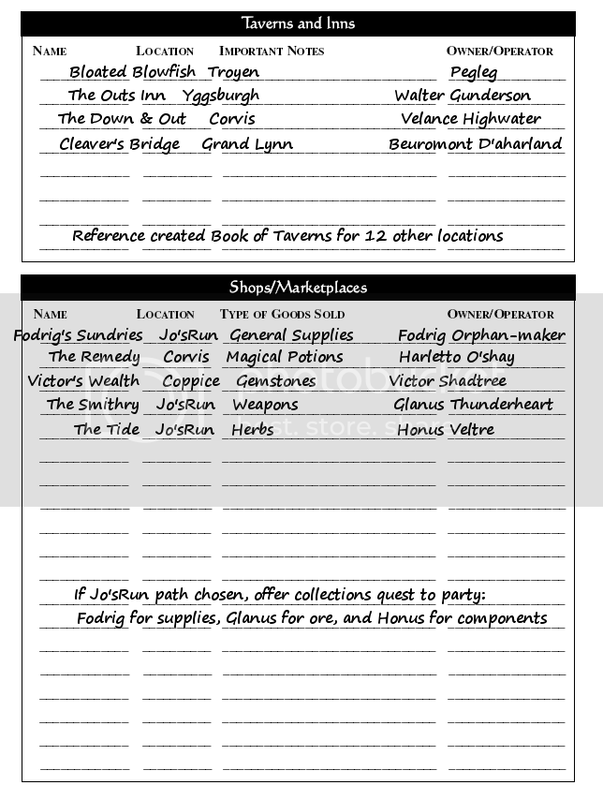 One of my favorite steps is laying out the general details of each Tavern/Inn - i.e., it's name, location, and owner. Along with this I created a few noteworthy general shops that would also fuel the central plots I had created in previous steps. I would like to stress this point here. The reason for NOT doing all this work is so you aren't bogged down by the idea of the size of the world on the front end. Again, we're not dealing with massive detail here, just a basic outline to focus our gaming session. Details, along with maps, layouts of each building can be created once the player's lean towards that plot point. IF they don't follow a particular path, then there is no reason to give yourself extra work, unless your really in love with a specific place/setting etc.